This easy step-by-step photo tutorial will teach you how to can applesauce in no time! Who knew it could be so easy? And homemade applesauce is the best! As a child, one of the things that I looked forward to each fall was helping my mom make applesauce to can and freeze. 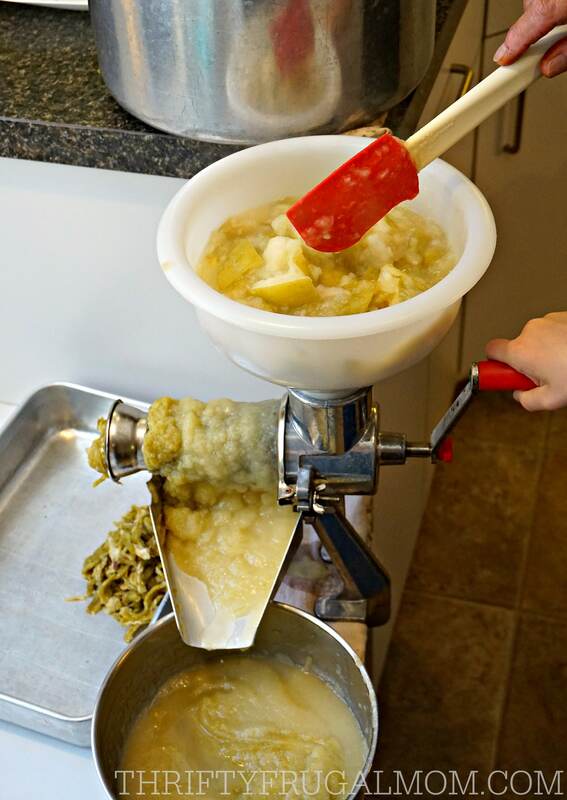 My favorite part was turning the crank to the Victorio Strainer and watching as it separated the apple peels and seeds from the fleshy part of the apples to make homemade applesauce. It always felt almost magical! Now I have the privilege of carrying on the tradition myself. It brings me so much joy to watch my own children have the fun of turning the crank each year as we make applesauce to can. And I love that I get to continue a tradition that has been happening in my family since at least my great-grandmother, and probably much longer! I preserve applesauce by both canning and freezing. Our favorite is the frozen because it tastes more like freshly made applesauce. Plus, we love the treat of eating it when it’s just slightly thawed. It’s so deliciously refreshing! 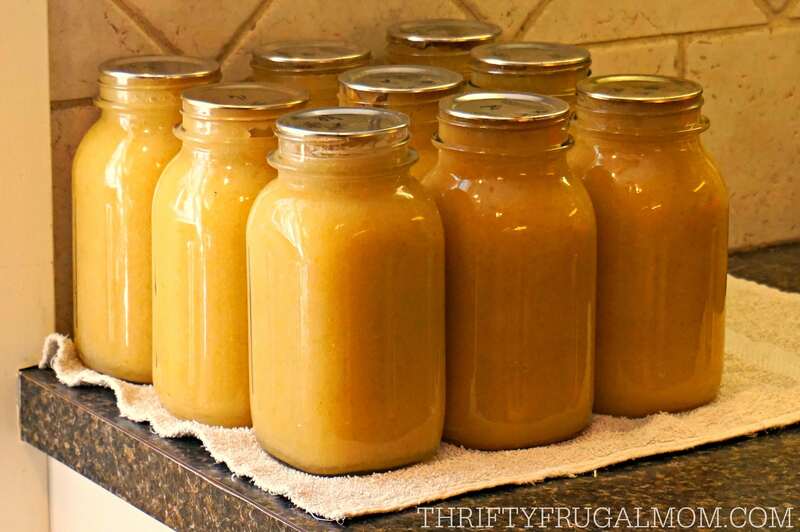 But of course frozen applesauce also takes up a lot of freezer space, so I also end up canning applesauce too. Really, it’s quite tasty as well and it tastes about 1,000 times better than bought applesauce, for sure! 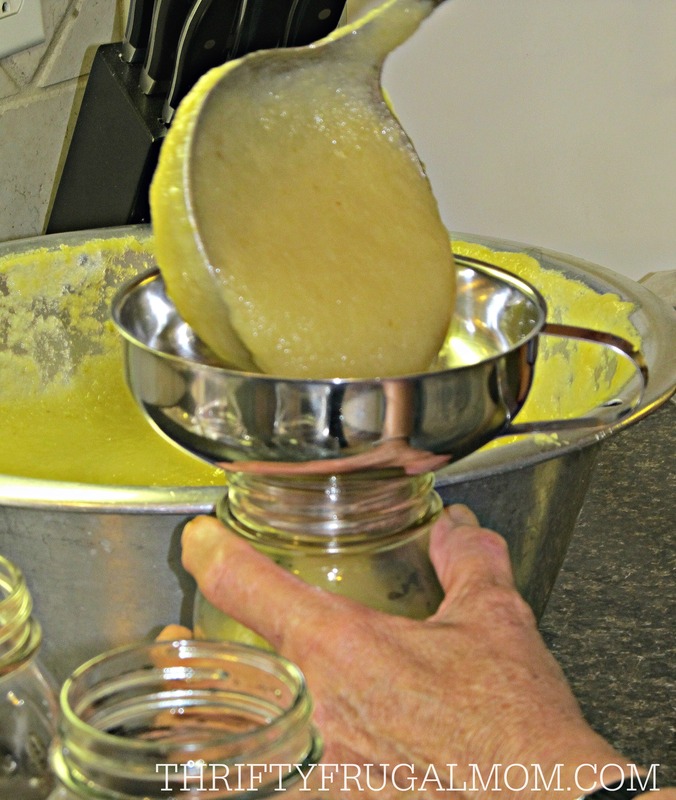 Want to learn how to can applesauce or freeze applesauce yourself? Let me walk you through the process of doing both. 1. Remove stems and the blossom end of apple (this is on the bottom end of the apple in case you are confused), as well as any defective spots, then cut into quarters. You do not need to peel or core the apples. 2. Wash quartered apples well. 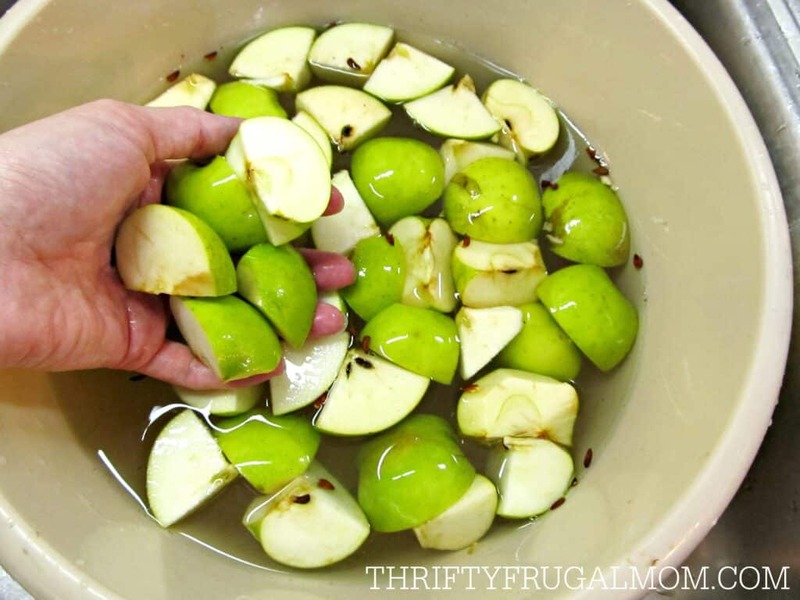 I simply fill a dishpan full of apples with water and then after swishing them around a bit, I’ll take a handful of apples and rinse them under running water. I continue doing this until all the apples are washed. 3. 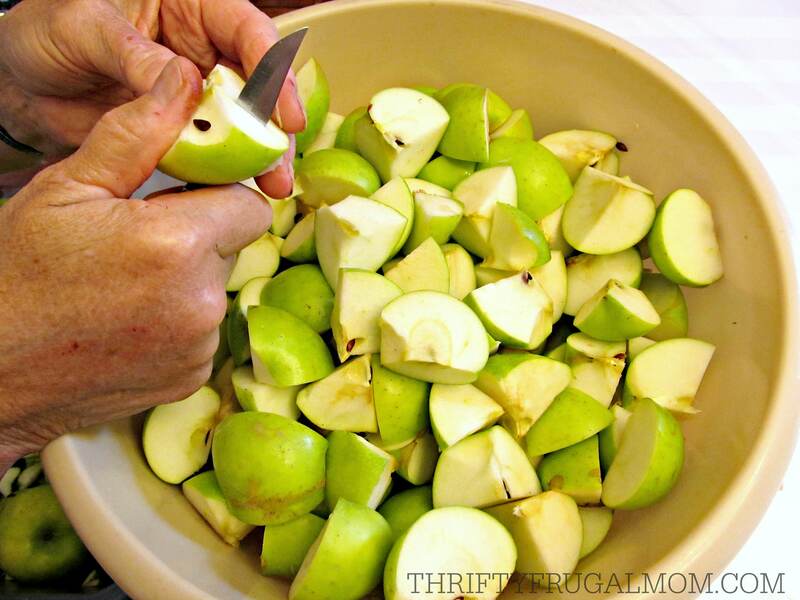 Dump your quartered apples into a kettle and add a small amount of water to it. I typically add water until there is about ½ in. of it in the bottom of the kettle. You basically just want a little bit of liquid in your kettle so that the apples don’t stick to the bottom as they start to cook. Cook over medium heat until soft and mushy, approximately 15 to 20 minutes. (Should look like the picture above when they are done cooking). Stir occasionally, especially when beginning to cook, to prevent sticking. 4. At this point you two options for turning the cooked apples into applesauce. My picture shows the Victorio Strainer because that’s what I use to make my sauce. I love it because it’s super easy and does the job much more quickly than a Food Mill . But either one works. Fill the top part of the Victorio Strainer with cooked apples. Then turn the the handle to push the apples through the sieve. This will remove the seeds and peels and give you a nice, smooth sauce. 5. If desired, add sugar to sweeten your applesauce. Some apples are sweet enough that there is no need for this. 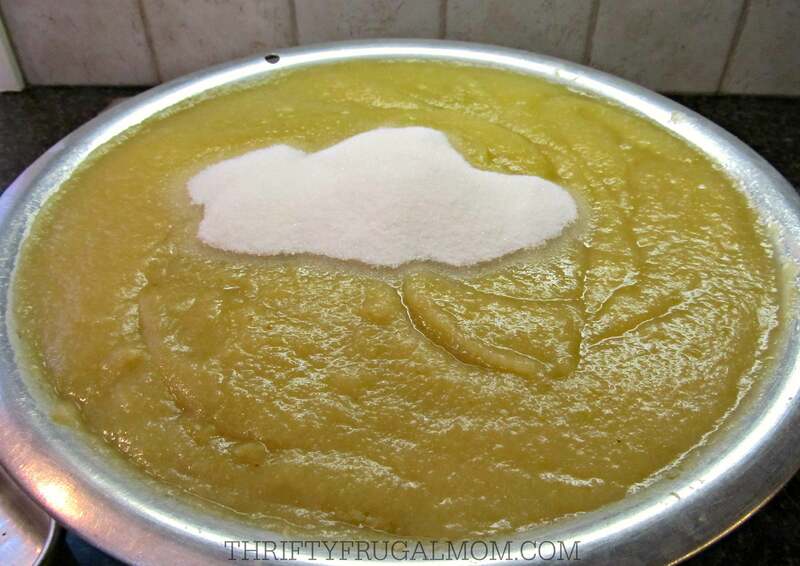 We personally prefer the taste of homemade applesauce made with a tarter apple, so I always add sugar to taste. A good rule of thumb is to add 1/8 cup per quart and then increase from there until it’s as sweet as you want it. Or if you want to freeze the applesauce instead of canning, simply pour the applesauce into freezer safe containers, then once cooled, freeze. Remember to only fill containers allow about ¾ in. full to allow room for the applesauce to expand as it freezes. If you are freezing your applesauce, this is your last step! I read recently that some of the newer lids actually recommend that you don’t boil them, so you probably should double check the instructions on the box of lids before doing this step. 8. Place 7 jars in canner. Fill with enough hot water to almost cover the jars. Turn burner on medium high heat. Once water starts to boil, reduce heat slightly and process both pints and quarts for 20 minutes. Make sure the water is boiling gently and steadily the whole time. You may need to adjust heat to keep the boil going nicely, but really, as long as it is boiling, you are fine. 9. After processing for 20 minutes, turn burner off. Remove jars using jar lifter- you may want to have a dishrag in your other hand to catch any hot water that drips from the jars as you remove them- and place on an old towel, blanket or other padded surface. (The reason for doing this is to protect your counter top from the super hot jars.) Allow at least a little bit of air space around each jar, making sure not to have jars close enough to touch. Do not move until jars are completely cool. Jars should seal as they cool and you will typically hear a snap or pinging sound as the vacuum seal is formed. Lids will be slightly concave when sealed. To test the seal, lightly tap the center of the cooled jar lid. If it is firm and does not move, it should be sealed. If it pushes in, it didn’t seal properly. You can still use unsealed jars, just put them in the refrigerator and use them as soon as possible. Thank you for this tutorial! My son has suddenly discovered a renewed love of applesauce and I've been wanting to make some because I'm not too fond of store bought applesauce. Can't wait to try my hand at canning some! Glad that it can help, Marlynn! Our kids love applesauce, too. So much so, in fact, that I kind of have to limit how much they eat sometimes because I already can a ridiculous amount of applesauce and don't really want to have to do more! 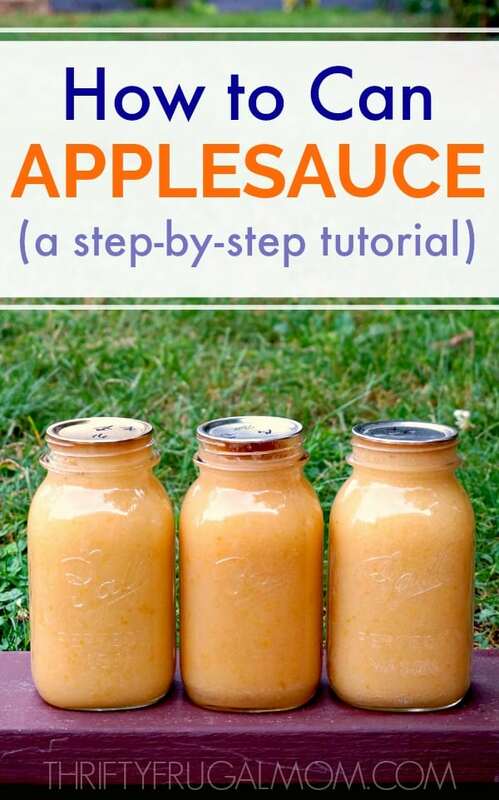 I have never canned but I am definitely wanting to make applesauce and this looks like a straightforward recipe! Thanks! I know canning can seem overwhelming if you haven't done it before, but it really is very easy overall. 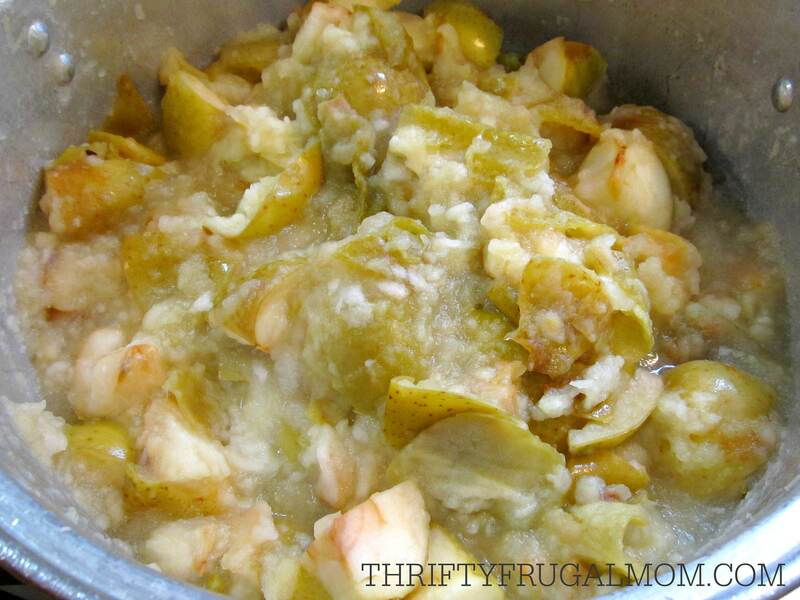 And I think you'll love the homemade applesauce! I have been canning applesauce for a few years and love it! Ready to start to learn to can other items a little late this year but trying to learn all I can! I did diced apples for the first time this weekend! If you know how to can applesauce then you should be good to go with anything else! I'm curious what you use diced apples for? I like your idea on making applesauce, but I did notice in,"supplies needed" to put tomatoes in a dishpan or bowl! I had to back up and re-read the recipe,to make sure it was an applesauce recipe. I found this amusing and had to share it with you. HAPPY CANNING! Oh too funny! Thanks so much for letting me know about the bloop. 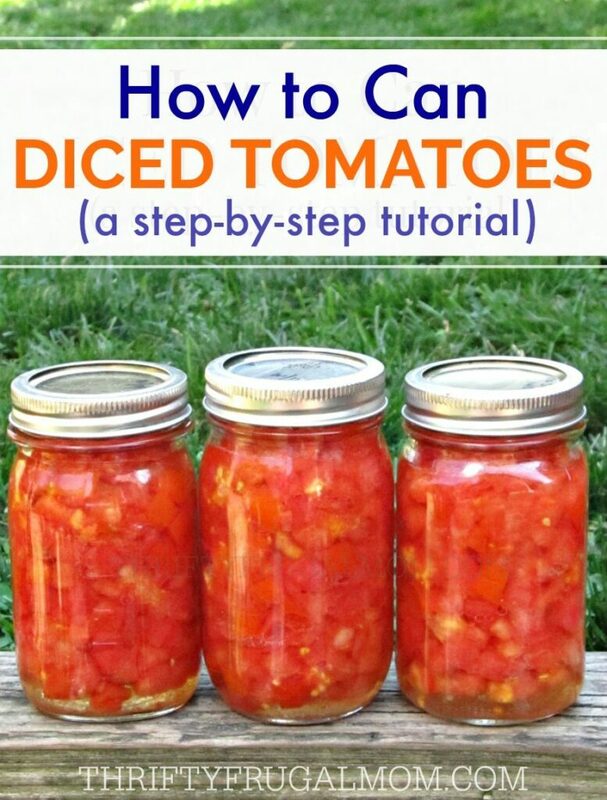 :) I also have a tutorial on how to can diced tomatoes and to save time I copied and pasted some of the verbiage from that post and then edited it to fit this one....but obviously I missed editing that part. I fixed it now though, so hopefully we're all good.